OK, I received my WPT yesterday, so I have all the parts. As read on the previous page, do I have to ground the green cable from the wheel when I connect the PAC to the purple wire? Or just connecting the purple wire is enough? The green wire does indeed need to be grounded. It should connect up between the two harnesses. So x colors to x colors for cruise control, purple to PAC and green to ground? And no green from the new harness to ground? 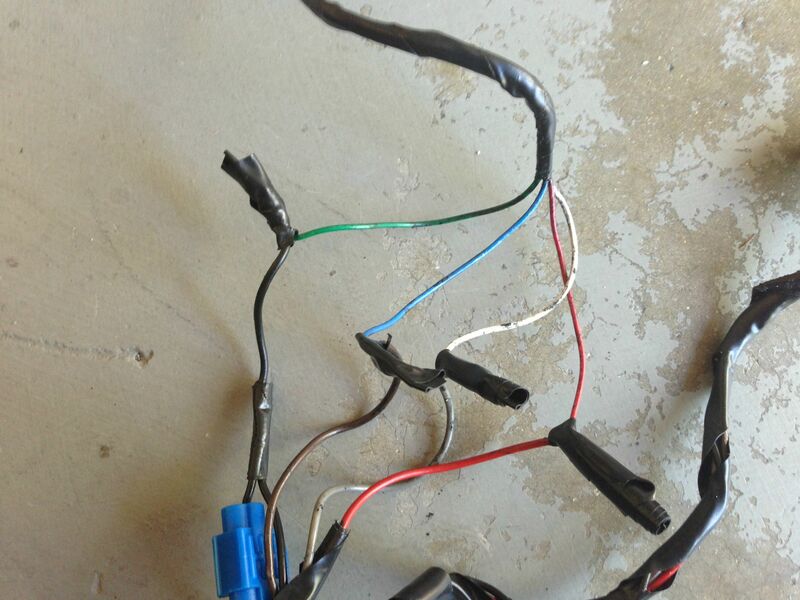 Yes you need to wire the green from the Music controls portion of the harness to ground. I actually cut it about 3 quarters of an inch from the plug and then spliced in a new wire from that cut to my ground. Glad it went well for the most part. Are you using the Boss wheel? To my knowledge the Boss wheel is radio controls only. I installed the GT 500 wheel, with leather and alcantara. I have radio and phone buttons on the right spoke. Thanks for your DIY ! Since everyone seems to continue to have issues finishing this install and getting all the buttons to work (especially with the new WPT plug) I'm sure many (including myself) would appreciate a thorough write-up. Especially if you have pics. Much like the first post, but with more detail about wiring and programming. To my knowledge no one has gotten the phone buttons working. I don't have pics though, sorry. I have a write up, telling all about the WPT440-1242's, where to match the wires to the radio head from the steering wheel also. There are two PDF style writeups. One on the steering wheel audio controls and another showing the correct switches for use with whatever you are using. If you are interested, go over to The Mustang Source, under audio modifications. Several of the guys have downloaded the infomation so far, and it has only been up a week or so. I put a 08 Sable navigation head into an 07 Mustang. I added the Boss (cr3z-ab) strg wheel, but had to switch out the right side switch. It came with a SW6714 (has ok on the lower left button) installed. I have a Ford navi head, so I needed to switch to the SW6716 (only has a phone symbol on the left lower button). The SW6714 works only with the Shaker (or 6 disc) heads. The last switch available for the right is SW6913. It has no picture on the bottom left button. It is for basic audio controls only, no SYNC or Navigation. I've managed to get all my steering wheel controls working correctly, using a factory navigation head. The write up shows where and how to put in the lower harness to the ACM so that all the controls will work. This wheel is quite the find for older S197's. Good luck. Post a link to the PDF? Hello. I wanted to say thanks for an excellent tutorial! My only question is in reference to the old connector merged with the new connector section. Does the connection of those harnesses supply power for illumination to both sides of the steering wheel? In other words, is the power for both the cruise control and audio control buttons illumination terminated when connecting the old harness plug side to the new harness on the new wheel? Will I use all of the wires from the new harness, or will there be wires that are not used? I finished this project this past Saturday and everything went just fine. Thanks to acharmedmatrix for this tutorial. In order to be able to post messages on the Forums at Modded Mustangs forums, you must first register. Today 12:54 PM by dr.gonzo!